Date, time, how to watch live on television and where to follow live online Venezuela vs Uruguay, match of the first date of the final hexagonal of the South American U-20, today, January 29. Venezuela opens against Uruguay the final hexagonal of the South American U-20. The team that directs Dudamel was classified as the first of group A in the first phase and reaches the last round with the illusion of obtaining at least one place for the U-20 World Cup. 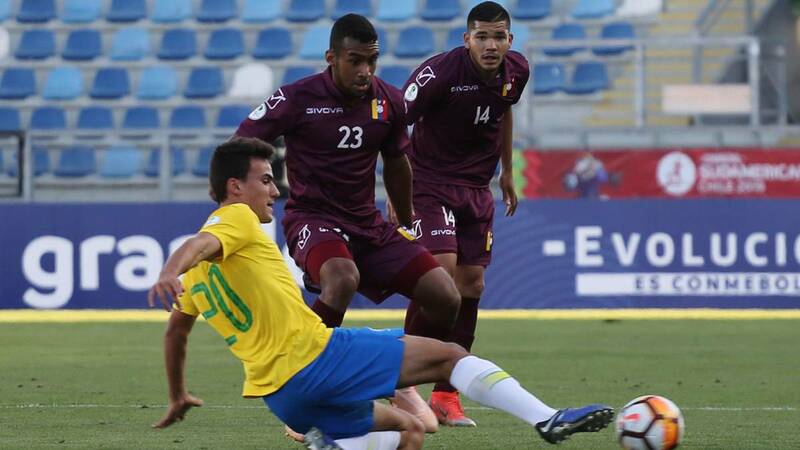 La Vinotinto only lost one of the first four matches, but it was against Brazil. The Venezuelans will have the absence by sanction of center forward Jan Hurtado. Uruguay, meanwhile, needs to improve with respect to what was done in the first phase, which left to be desired in several games. They cling to what Schiappacase or Dávila can do, until now the best Charrúas players in the tournament. Schedule: What time is the Venezuela - Uruguay U-20? The match between Venezuela and Uruguay will be played on Tuesday, January 29 at the El Teniente stadium in Rancagua starting at 10:10 pm Chilean local time, 21:10 Venezuelan. Television: What channel is the Venezuela-Uruguay Sub? -twenty? El Venezuela-Uruguay will be seen on television by La Tele Tuya de Venezuela. In Spain he broadcasts it to Real Madrid Television at 02:10 hours. Internet: Where to follow the Venezuela-Uruguay U-20 online live?